Walk your heart out in the Wolky Jewel sandals. 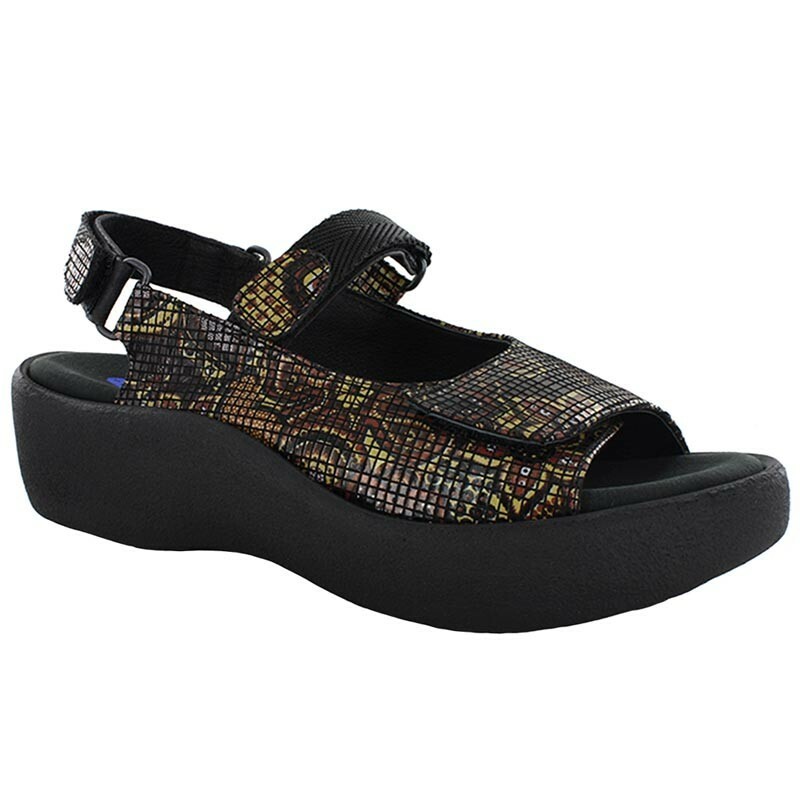 Offered in a wide range of colors and finishes, this women's casual sandal has a leather upper and three hook-and-loop straps for full adjustability. Signature Wolky comfort is offered by the removable contoured insole. This signature replaceable footbed consists of anatomically contoured cork and latex, topped with a high-density memory foam layer for the ultimate in customized comfort. The entire footbed is then covered in soft, supple leather or suede. The lightweight platform polyurethane sole of the Wolky Jewel sandal offers secure traction and is sure to put a spring in your step.